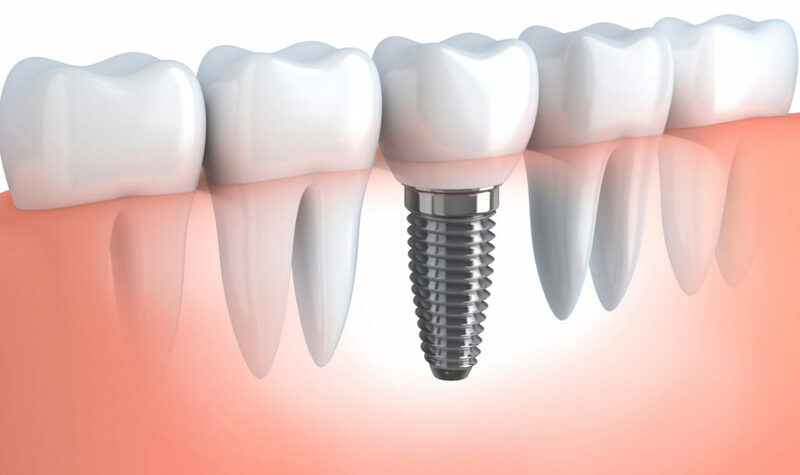 Dental implant surgery is extremely safe, and most people do not have any complications from implants. However, it is important to note that you may have side effects. Pain is one of the most common side effects. The anesthesia that is used during the surgery will numb the pain. However, you will likely experience pain a few days after surgery. In most cases, pain can be alleviated with over-the-counter medications. Keep in mind that Aspirin can increase the risk of bleeding. That is why dentists recommend using Aspirin-free medication. Your dentist can also prescribe you a medication, which may be more effective than over-the-counter medications. Swelling, which is another common side effect, is a natural reaction to surgery. Swelling is most likely to occur around the incision site. Swelling will typically go away on its own. You can use ice to reduce swelling. You can also experience bruising after surgery. You may notice bruising on your cheeks. Surgery can also cause internal bruising. Serious complications are extremely rare. However, they have to be treated as soon as possible. An infection can develop at the incision site. An infection has to be properly treated because it can spread to other parts of the body. Most infections can be cleared with antibiotics. Nerve damage and sinus problems are other possible side complications of dental implant surgery. Exercising after oral surgery can wait, it’s best to start back up when you’re fully healed, as well as getting the green light from your doctor. It is best for you to start off with low-impact exercise in order to minimize the risk of bleeding. Yoga, stretching exercises, walking, and light strength training are examples of some of the exercises that you can do after your dental implant surgery. Exercise can help improve blood circulation. This can speed up the healing process. Dental implant surgery can change your life for the better. However, there are several things that you will have to do in order to ensure that your surgery is a success. For more Information, feel free to Contact Us!